Once you’ve set up the Pipedrive integration, when you import Persons, the standard fields (Name, Organization, Phone, and Email) will be automatically mapped. Use the Map Persons options to map any custom fields you’d like to add to the prospects to Klenty. 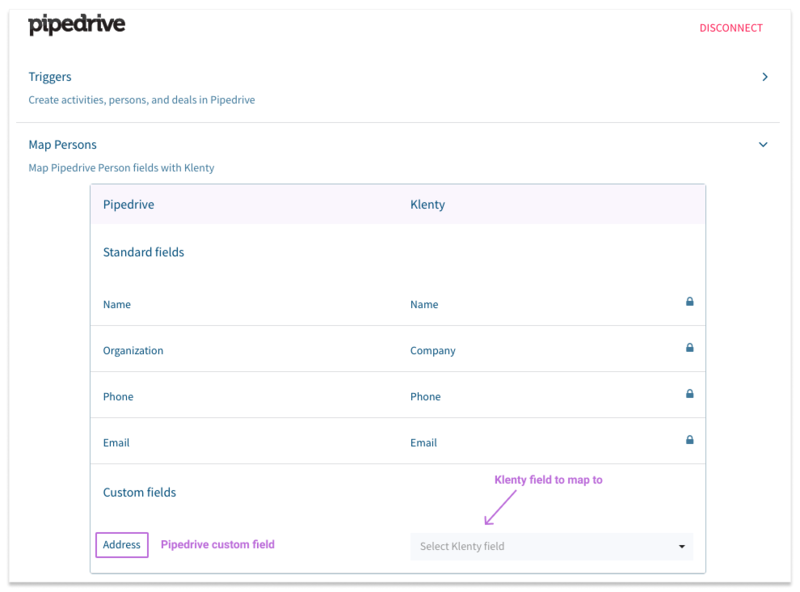 To map Pipedrive fields with Klenty, go to Settings -> Integrations -> Pipedrive.